Last night marked the official start of Beyoncé’s Formation World Tour, which will see the Lemonade singer hit 41 cities globally. And though fans were expecting Queen Bey to bring it (and she most certainly did), they were even more surprised by what was available at the merch table. 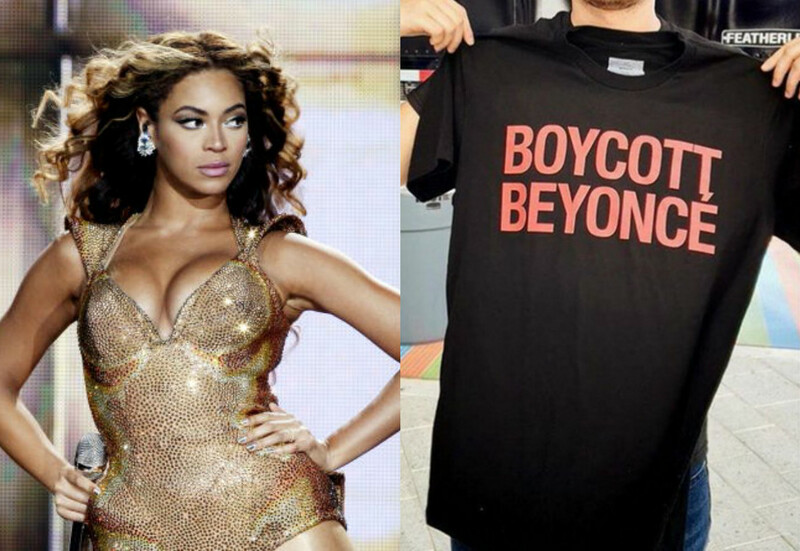 According to attendees at her first concert, at Miami’s Marlins Park, fans were invited to purchase t-shirts reading “Boycott Beyoncé” and the reasoning behind the t-shirts could not be more genius. For the record, Beyoncé is not anti-police. In a rare interview with Elle magazine, the 34-year-old pop star says she completely supports the police —until they abuse their authority. Exactly. And for anyone who doesn’t get it by now? Boy bye.